Excelling in JEE MAIN exams gives an opportunity to students to apply for JEE ADVANCED and then to their choice of IIT college or university. CBSE was the main government body to conduct JEE exams. From this year, NTA or National Testing Agency was given the responsibility to conduct JEE MAIN exams. The exam was conducted in completely online mode with advanced technology on a percentile basis. Each year, the pattern of question may or may not differ and the students will have to prepare themselves accordingly with regular practice sessions. JEE MAIN has three main subjects – Physics, Chemistry and Mathematics. Any student who has successfully passed the 12th class board exam is eligible to apply for JEE MAIN exams. 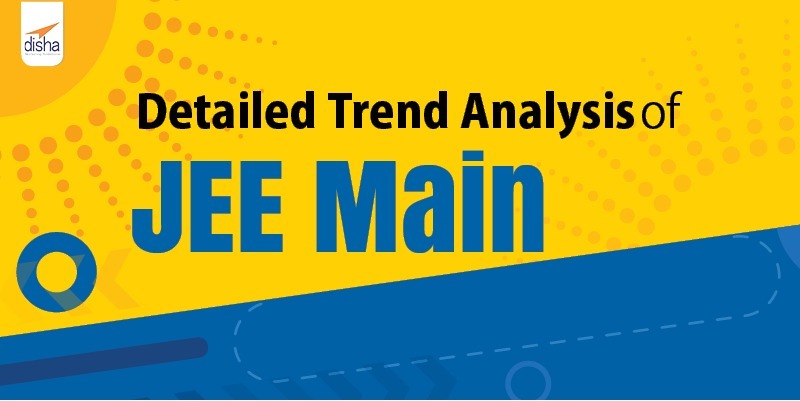 Here we give you a subject wise trend analysis JEE MAIN 2018 exam and also of JEE MAIN 2019 PAPER 1. JEE MAIN 2018 had approximately 12 lakh student participation which is less than the previous year. The number of centres for JEE MAIN exam however was increased. The questions were in objective and MCQ type that covered all three main subjects with equal weightage. There was no negative marking done for not attempting a question. PHYSICS – Physics proved to be theory based and very calculative paper. The difficulty level for this paper should be assessed as moderate to difficult but not easy. There were 11 questions from Mechanics, 8 from Electrodynamics, 3 questions from Thermodynamics & Kinetic of theory, 2 questions from Wave Optics and 6 questions from the Modern Physics. The entire paper can be segregated in 4 difficult questions, 20 moderate questions and 6 easy questions. CHEMISTRY– This paper, it was a mix of theory and calculation questions. 17 questions came from 12th class syllabus and 13 were from 11th class. 8 questions were asked from Organic Chemistry, 11 from Inorganic Chemistry and 11 from Physical Chemistry. MATHEMATICS– Calculation based questions were more in number and therefore students who had practiced thoroughly would have finished this paper well in advance. All the important formulas had to learn well in order to excel in maths exam. 20 questions were selected from 12th class and 10 questions came from 11th class. Topics covered were- 15 questions from Algebra, 6 from Calculus, 3 from Trigonometry, 3 from Conics and 3 from Vector Algebra. PHYSICS– Although, the questions were of good level, they were a bit lengthy and calculative. This has been the pattern of Physics paper for past few years. Daily practice has to be done for Physics subject along with time management is important otherwise students will not be able to finish it before time. CHEMISTRY– The questions in Chemistry exam were of very basic level with two or three informative questions from Bio molecules, Environmental Chemistry, Boron-Carbon. As unusual, Organic and Physical Chemistry were a bit tricky. MATHEMATICS– Students who can attempt moderate level maths questions quickly can only finish this paper of 2019 as it was also lengthy. Time coordinate geometry and calculus based questions were quite easy to solve. The syllabus of JEE MAIN is always from the 11th and 12th board exams and students who do regular practice can score highest. In-depth knowledge of each topic with practice from previous years solved papers and mock test is very important.